Italian Prime Minister Giuseppe Conte on Sunday (15 July) said five European countries had agreed to take in 250 of the 450 migrants aboard two EU border agency vessels. “Even Spain and Portugal will take 50 migrants each, as France, Germany and Malta have already done,” Conte said in a tweet. Anche la Spagna e il Portogallo prenderanno 50 migranti ciascuno, come già hanno fatto Francia, Germania e Malta. Despite the controversy over who would take the migrants, Conte authorised the disembarkation of all 43 women and 14 children on board. 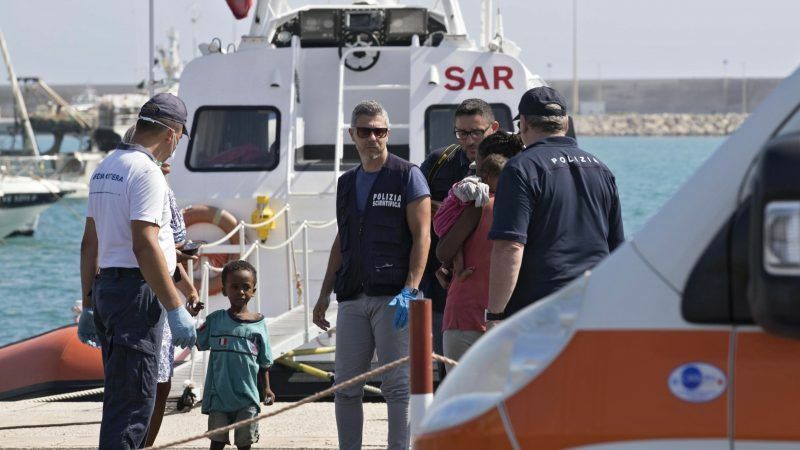 The migrants were allowed to leave the two ships in the southern Sicilian port of Pozzallo, a report by the AGI agency said quoting sources close to the premier. Earlier Sunday, Germany agreed with Italy to take in 50 migrants after Rome requested that its EU peers take some of the migrants stranded off the Italian coast. A German government spokeswoman said in a statement that “Germany and Italy have agreed that, in view of the ongoing talks on intensified bilateral cooperation on asylum policy, Germany is ready to take in 50 people”. Conte had contacted his 27 EU peers to remind them that they had agreed at their end-of-June summit on the need to share the migration burden. 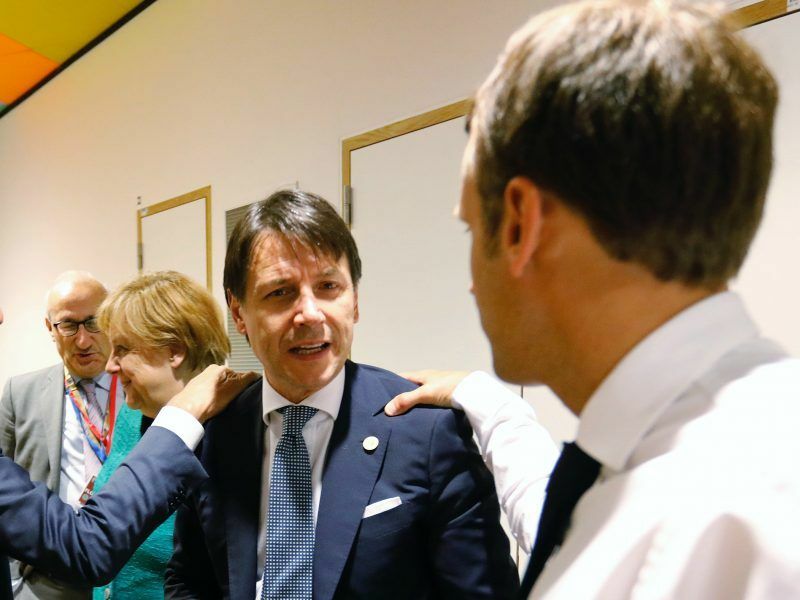 EU leaders reached a much-needed deal on steps to tackle migration after resolving a bitter row with Italy’s inexperienced prime minister. Extended talks lasted through the night and only wrapped up on Friday morning (29 June). He announced on Saturday that France and Malta would take 50 migrants each, and “other countries will follow very quickly”. “This is the solidarity and responsibility we have always asked from Europe and now, after the results obtained at the last European Council, it is starting to become reality,” he said on Facebook Sunday. 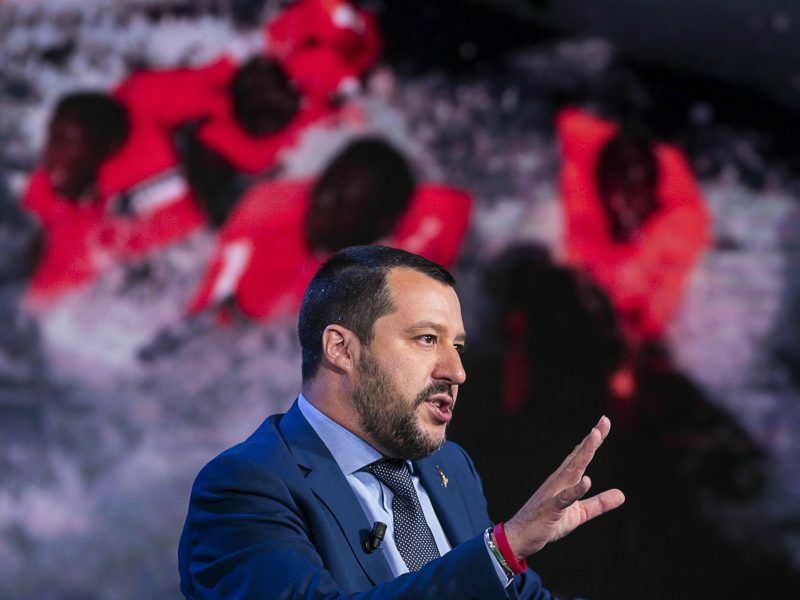 Italy’s new populist government, which came to power on 1 June wants to block any further migrant arrivals by boat and has banned NGO rescue ships from docking in Italian ports, accusing them of aiding human traffickers. The latest migrants, like thousands of others, had set sail from Libya in a single wooden vessel which was identified early Friday. On Saturday morning, as the two Frontex vessels approached the boat, several migrants threw themselves overboard, prompting immediate efforts to rescue them, Italian sources said. Frontex is the European Border and Coast Guard Agency. Eight women and children were taken to the Italian island of Lampedusa for medical treatment. Spain’s new foreign minister Josep Borrell meanwhile Sunday said that the EU’s prized Schengen free-movement system was “beginning to disappear” under pressure from migrants arriving in the bloc. “Through the back door, France, Italy and Germany have placed controls on the borders because of the migration crisis,” Borrell told the El Pais newspaper. Spanish rescuers separately saved more than 340 migrants from the Mediterranean on Saturday.